I read this article and found it very interesting, thought it might be something for you. The article is called Restaurant Review: Rosa Madre and is located at https://www.totallydublin.ie/food-drink/restaurants/restaurant-review-rosa-madre/. When I mentioned that I would be reviewing this place, my current wife thought it would be a good idea to bring my brother-in-law along, not merely because he’s married to my sister, but because he, like his father before him, is a commissioning agent for fishing boats. These are the people who supply the wholesale trade. He measures distance in fathoms and can tell a Brill from a Turbot while blindfolded. Let’s call him Brine. I generously invite him to bring the fishwife along because family is very important to me. I decide that it might be a good idea for us to meet at the office (mine, not TD Towers) for gins and tonics, that way we can dispense with the chit-chat that distracts me from the menu while I’m on the job. It also helps that the office is just twenty metres from the restaurant. I needn’t have bothered, it will be an hour before we see any food, but then, we did arrive a half hour late (I called ahead). Nevertheless, that time was far from purgatorial as we spend it in the company of a bottle of Principiano Ferdinando 2016 from the Langhe region. It is floral and elegant and worth every cent of the €55 Euro price tag. The list here is seriously impressive, with a lot of value to be found in the €30-€50 bracket. 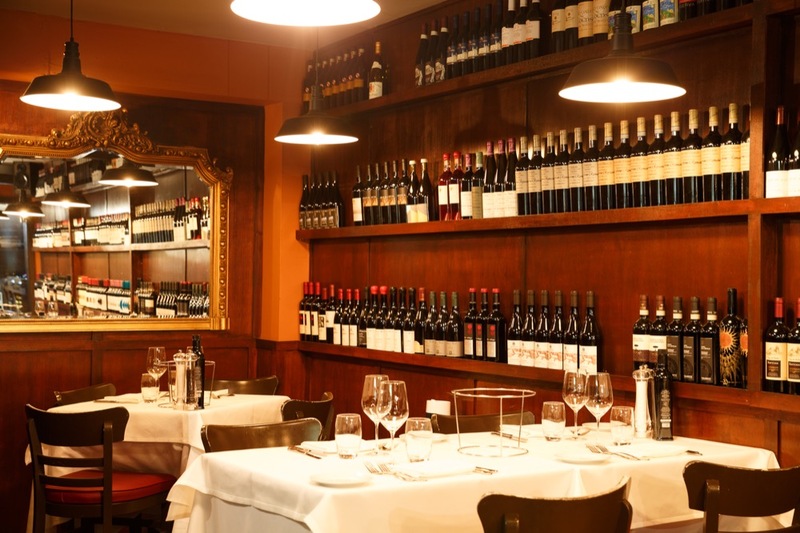 It is dominated by Italian wines, as it should be, and Luca, the owner, is more than happy to help you navigate it. Excuse me for getting ahead of myself – Signore De Marzio opened the place about two years ago – it was Caffé Italiano before that. He’s a big genial Roman whose guiding principle is to source the very finest and freshest seafood available and to do very little with it that might distract from its quality. Lots of restaurants make these noises. Very few of them follow through. The wet-fish counter you see when you enter is not a design feature (see Sole on South William St), it is a proclamation. I had been thinking of a roasted Turbot, probably because it is being fetishised at the moment, but that’s not around tonight. That’s fine, fresh fish is all about availability. Luca appears at my shoulder with what looks like a three kilo wild salmon. My trouser pockets contract but it wouldn’t be fair to impose it by fiat upon the table. His refusal to cut it up just makes me like him more. We make our choices and our selection is presented tableside before being dispatched to the kitchen. They are practically blinking. The first dish to arrive is a special of Red Mullet de-boned and served with cherry tomatoes and olives. It couldn’t be any better. From a list of Crudos including Bream, Bass and Tuna we order the prized Gamberi Rosso Siciliano. This is the reason I’m here. I don’t know of anywhere else to get them in this country, in fact I couldn’t find them on a trip to Sicily last autumn. Shelled, sliced and flattened, they are annointed with olive oil and a pinch of salt. To do otherwise would be a heresy. The first taste elicits a long silence around the table. It is the finest seafood carpaccio I’ve ever eaten, sweet, delicate, the flesh still firm. I can’t stop thinking about it. 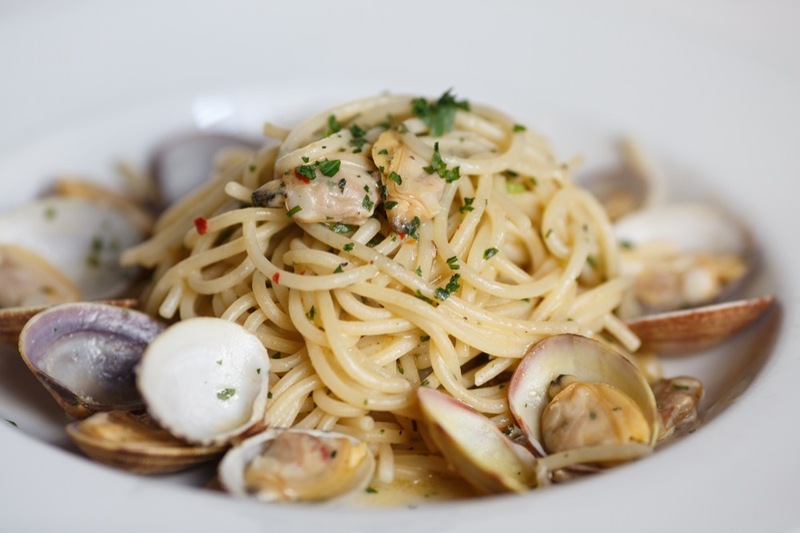 For the Spaghetonni alle Vongole, ninety-nine kitchens out of a hundred would use surf clams for the dish, as would I when preparing it at home. Here they use only palourdes, which cost almost twice as much. It is the very acme of the dish, perfectly balanced, humming with ozone. A salt baked Bream is a masterclass in fish timing, again faultless. Grilled baby squid is a little too toothsome for me, but it’s a rare misstep. A hunk of roasted Monkfish bigger than my fist is bathed in a lemony emulsion fragranced with rosemary. Seafood cookery of this nature doesn’t allow for sleight of hand and offers no place to hide for the kitchen. It doesn’t need it. They introduce ingredients to heat (unless they don’t) and sauce sparingly and without pretense. The secondary elements in every dish are always there in the service of the headliner. They encourage the primary ingredients to taste more of themselves. There is nothing remotely modish about this place, not in the menu, the cooking, the room or even the attitude of the servers. We should be thankful for this very Italian immutability. Theirs is a noble intransigence. There are a couple of meat dishes on the menu and doubtless they are prepared with the same attention to detail (I imagine the Saltimbocca is textbook), but why would you? It would be like going to a brothel for a shoulder to cry on, or cruising for a knee-trembler in a chapel. You come here for the pleasures of the deep. None of this comes cheap but neither should it. Stouter men than you put their lives on the line to bring in those nets. The bill comes to €300 and with three superb bottles that represents very good value indeed. Rosa Madre is not so much a destination restaurant as one that has the power to transport. 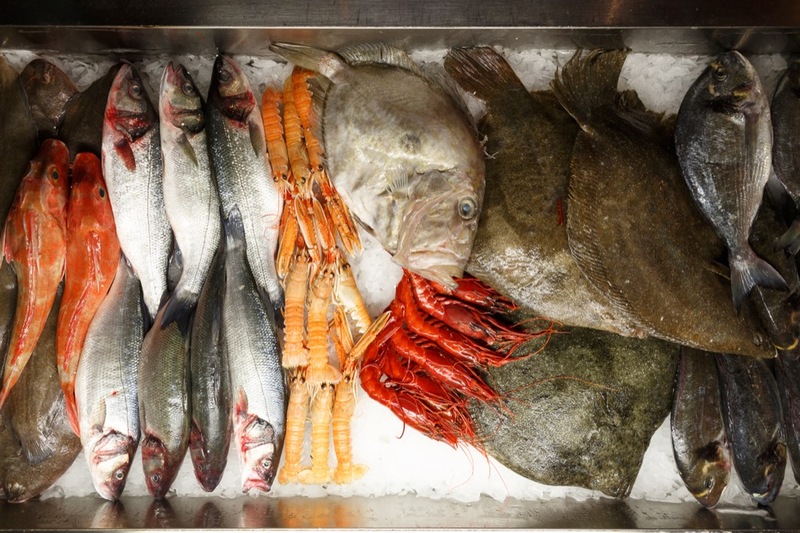 You could indeed be in Rome, but for the quality and freshness of the seafood. Our meal is completed with a round of astringent ruby-red digestivos, on the house. The best Italian restaurants always send you away with a clap on the back such as this. As we walk out into the balmy evening Brine comments that ‘this guy knows his stuff’. That’s about as effusive as he gets and it’s high praise indeed. Sabongi’s faddishness gives me a pain in my cloaca, and dishes can be hit-and-miss at Fish Shop, good though it is. This place is the answer to the question I’m probably asked most (after ‘are you for real?’) – where can I eat good seafood in town? The honesty and simplicity evident in the cooking here continues into its web copy. The first line reads ‘Rosa Madre is the best and most authentic Italian restaurant in Dublin’. They will get no argument from me.